New Delhi: Central government employees’ pay bill are unlikely to get increased salary from April under the Seventh Pay Commission recommendations, as the central government might delay the hike by six months to evaluate the actual needs of employees, said finance ministry officials. The economists advised the government to measure the possible impact of the salary increase on next year’s budget before implementing it, they said. The Empowered Committee of Secretaries led by Cabinet Secretary P K Sinha may recommend raising salary of junior and middle level employees as employees associations are pressing hard for it. The committee will submit its report to the finance minister after reviewing the commission’s suggestions, and holding discussions with government high-ups. Wishing anonymity, a finance ministry official said the government would see whether there would be any wastage of public money in paying increased salary and allowances or any new conditions can be imposed in line with the recommendations of the Pay Commission. The empowered committee would place a proposal before the cabinet after budget for delaying the implementation of increased salary of Central government employees, said the officials. 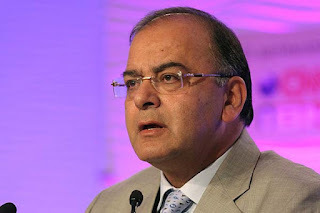 Finance Minister Arun Jaitley while introducing the Seventh Pay Commission report on November 19 said that the final decisions on the Seventh Pay Commission report took five and a half months. The Seventh Pay Commission award bill is about Rs 1,02,000 crore, according to the Finance Minister Arun Jaitley that can be afforded. A pay commission reviews the pay of government employees every 10 years and its recommendations are usually accepted with some modifications. The Seventh Pay Commission suggested to discontinue the practice of appointing pay commissions in future.